See the Feedback left for us! 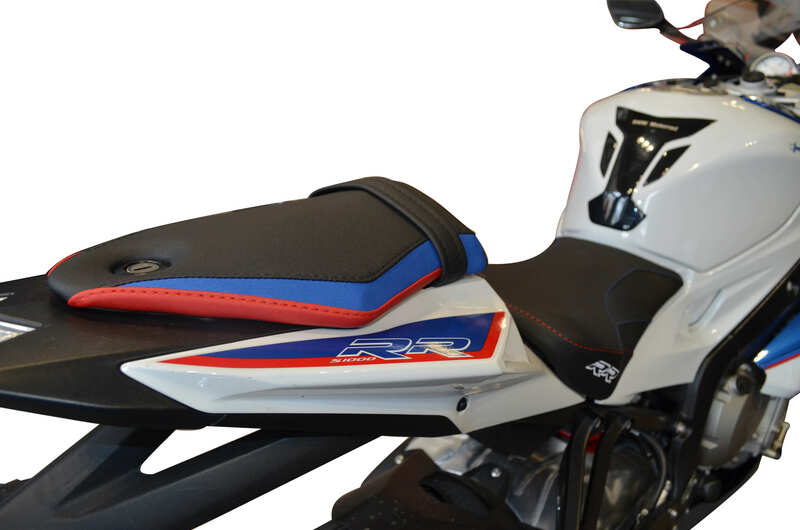 At we produce seat covers for all types of motorcycles, as well as seat covers for jet skis. All these products are made upon order and are not stock. The production process we have developed, is mainly handcrafted but also supported by the use of specialized modern mechanical equipment. By this means, we are able to offer the highest possible quality of production at the best price, as well as providing you with a quality guarantee. 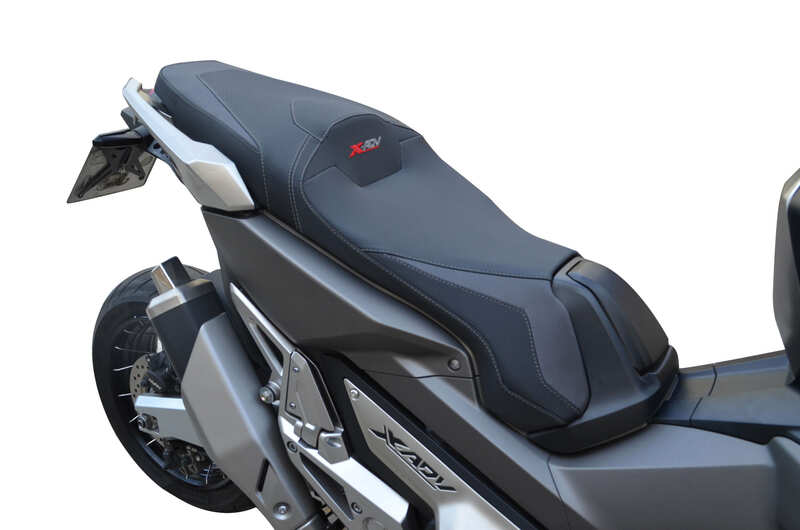 The materials we use for manufacturing seat covers are of highest quality and confirming with specifications, such as durability and resistance to all extreme outdoor conditions which a motorcycle seat is exposed to; such as sunshine, rain, snow etc. The seat covers are 100% waterproof, antibacterial and antifungal. They are divided into different texture and color categories, in which you may find more information about their properties. Please click on our sample book for more information. Our design department prepares our seat cover suggestions for each motorcycle model. These design suggestions are available on our e-shop and are easy to order. Moreover, the design department may prepare a unique design just for you, according to your needs and preferences (as long as it is technically feasible). Basic design, which is the most simple edition, usually like the OEMs. These have only the technically necessary stitching for perfect fitting. design, which are more complex editions, especially designed to match the lines and style of each motorcycle, aiming to bring out its character. All our products (seat covers & comfort seats) have our company label with our logo on them, to reassure their authenticity. 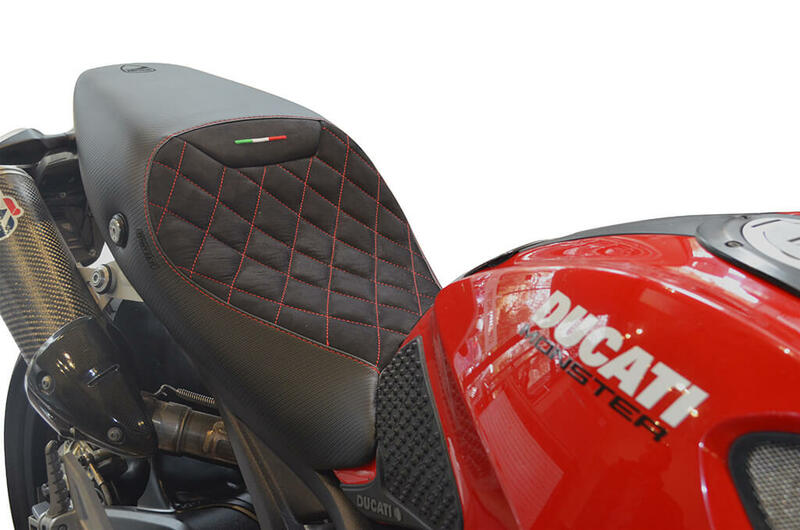 We apply different types of labels depending on the material as well as the type of the seat cover, for example pyrography on genuine leathers, our logo embroidered using the same color as the cover material for Café racer seat, and on all other comfort seats and covers series we apply our basic label on black background.